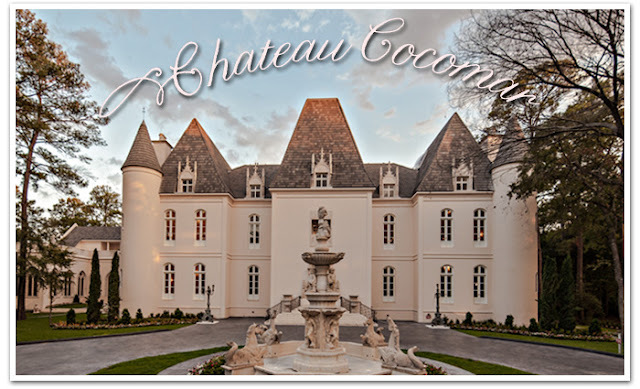 From the grand exteriors and high elegant ceilings to the sweet details and thoughtful architecture, Chateau Cocomar is stunning to behold. 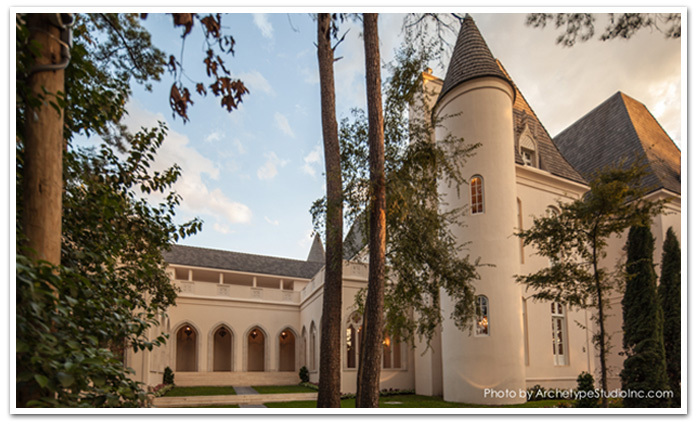 Set at the end of a quiet street, Chateau Cocomar seems far less like a typical venue and more like secluded palace tucked away in a hidden garden outside Houston, Texas. The gorgeous circle driveway accented by a regal fountain serves as a beautiful focal point upon arrival. My first impression upon walking through the front doors was how grande the entire space was. 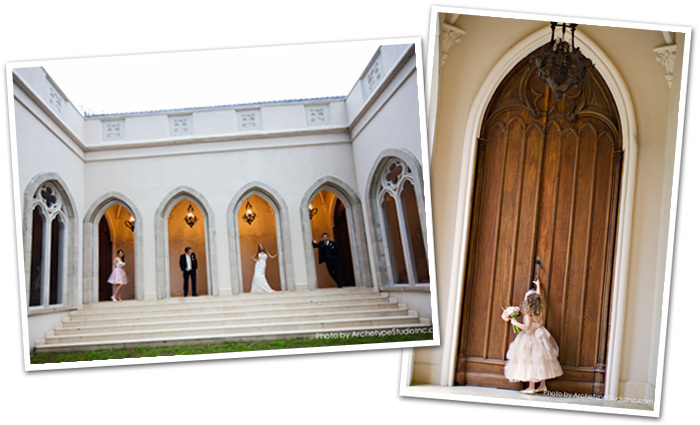 With so many large spaces and elegant rooms to work with, Chateau Cocomar is a venue filled with endless possibilities. Grande monastery door imported from France lead you into the gorgeous vaulted hallway made famous by Archetype‘s award winning photo. It is just one of the numerous antiques imported from around the world sprinkled throughout the rooms and halls of the chateau. My favorite space was the Chantilly Chambers. The main focus of this room is an incredible marble fireplace stretching the entire height of the room. The beauty of this room, along with all the other ballrooms, is it’s love for color, bright or soft. Bright and rich colors easily pop off the clean architecture and are enhanced by the amazing amounts of natural light let in by the elongated windows. 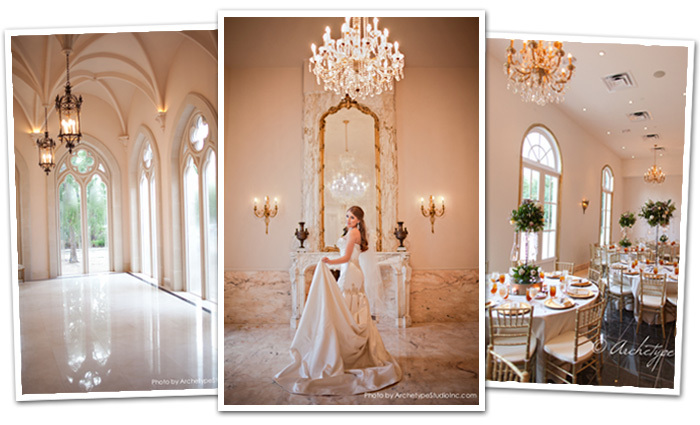 Soft colors simply embrace the natural colors already in the marble and rooms enhancing the look of the venue itself. Honestly it is hard to go wrong with any look in Chateau Cocomar!